Get the hottest pink handgun or pistol parts out there! If you are searching for pink pistol accessories to gift to your girlfriend, as per her choice then you must know the reason behind this choice. Usually, girls want to buy a gun for their self-defense but if some noble cause is also attached to the gun then they will naturally prefer for it. The accessories of pink pistol remind us about the awareness for breast cancer like all other pink items available on the stores during the month of October. These pink pistol accessories can be more attractive for girls on this occasion than a Barbie doll as according to the American Cancer Society 1 in 8 American women are suffering from breast cancer. Some of the pink pistol accessories offered by various companies are briefly reviewed here under to help you in choosing the right gift for your girl. 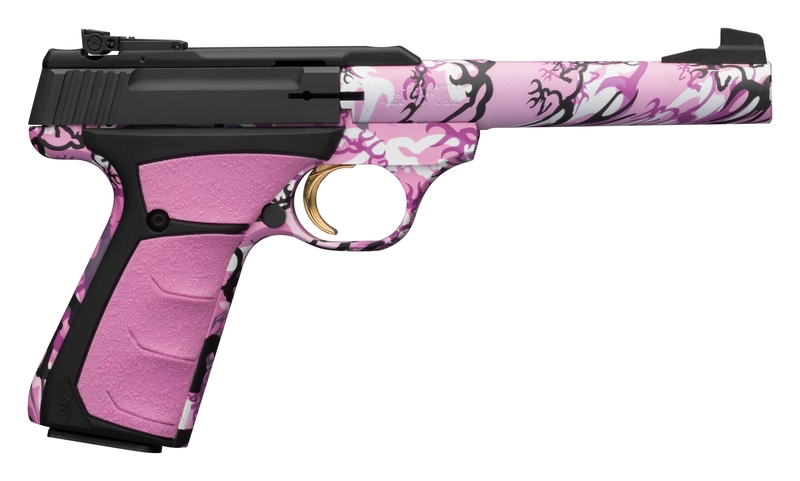 In order to design this pink pistol Smith & Wesson has collaborated with Julie Goloski-Golob, a professional shooter. This model includes a black melonite stainless steel barrel, a polymer frame and a slide along with a 9 mm chamber. It is a pistol with a full-size frame with a warren tactical rear sight and fiber optic front sight that can hold 17+1 rounds. This pistol weighing 24 ounces can be customized easily. It includes two pink grips- small and medium along with three sized black grips that can be interchanged easily. Charter Arms has introduced several models of pink pistol accessories successfully in the female market. The Pink Lady revolver seems similar to their own standard model .38 Undercover Lite but in different colors. The Pink Lady Off Duty offered by Charter is a double action revolver with an enclosed hammer. They also offered the Pink Lady Southpaw for left-handed shooters to supply into various markets. If your girl is not ready for a special .38 special then you can also offer her a Pink Lady in .32 H&R. This awareness version of .380 pink pistol has been introduced by BERSA THUNDER as a twin to its standard model with similar accessories to allow their users to customize their guns as per their choice. This .380 is a semi-automatic gun that is designed for a dreamlike shooting experience. Its accessories include 3-dot sight, a standard magazine for seven rounds and extended finger grip. The total weight of the entire package is 20 ounce only. Along with introducing this pink pistol Besra has also donated a part of his income from each kit for the awareness of breast cancer. Federal Ammunition has introduced a Pink top target gun which will allow the shooters not only to aim his/her target but also support the researches in the field of breast cancer. The body of this target gun is made distinctively pink packed in a pink box decorated with a ribbon used for breast cancer awareness. Thus, you can find a number of pink pistol accessories to gift to your girlfriend. In order to get more information in this regard, you can contact at The Gun Source.